For some athletes, the beginning of offseason is a welcomed relaxation period to destress and unwind. And for many, offseason training begins right away. Although it is extremely important to maintain a healthy exercise regimen during this period, it is also wise to do everything you can to avoid an injury. An offseason injury can severely affect your ability to perform once your normal workouts start back up again. Many athletes get injured when they push themselves too hard, use improper techniques, do too much of the same exercise or neglect rest and recovery time. Be smart during the offseason with our tips below. Don’t forget to work your core in the offseason. This includes your glutes, lower back and deep abdominals too. Your core is the foundation of your movement and if these areas are out of sync, the rest of your body will be as well. 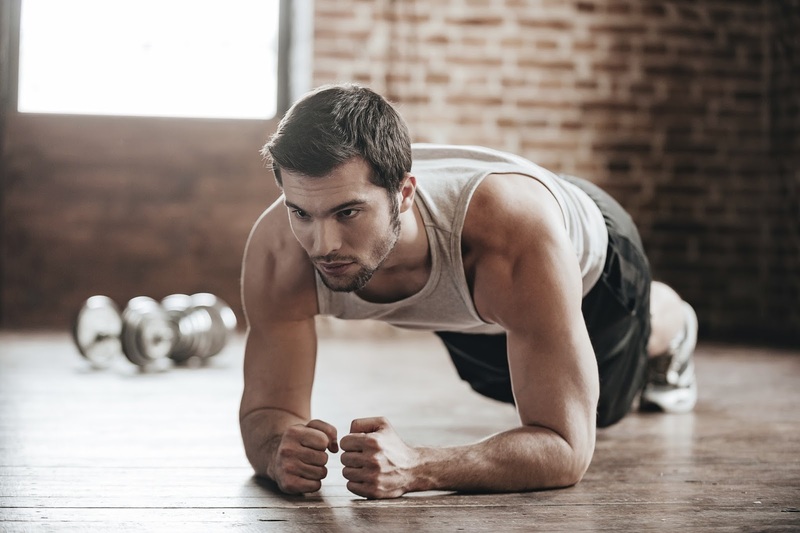 The core acts as the central energy transfer in your entire body, so not keeping it strong and in shape during the offseason can lead to injury and exhaustion when you return. Focus on low-impact core exercises during the offseason to minimize joint damage. Another helpful tip is to focus on exercises that are not a part of your usual in-season routine. If you lift heavy weights, focus on conditioning and cardio during the offseason with less emphasis on weights. If your in-season consists of mainly cardio, consider doing more strength training and lighten up on the running. This will help you train the parts of your body you don’t normally work during the season to stabilize and strengthen those areas. Also, consider moving away from the machines and using free weights and body resistance. Machines are great for exercising, but they only allow for resistance along a set path of motion. Exercises like squats, lunges and presses will lead to a greater transfer of strength. Remember that your diet is as important as your exercise during the offseason, if not more so. Don’t continue to eat as though you are in-season and burning thousands of calories a day. It may take a while for your body to adjust to a new normal, but not doing so will lead to fat gain and over-consumption. Avoid using energy bars and sports drinks as meal replacements. These are filled with calories that are great for in-season workouts, but will be counterproductive while you’re off. With an increased amount of time on your hands, you have a perfect opportunity to practice preparing non-packaged, non-processed foods. Get into this habit early on and incorporate it into your future routine too. Mix up your diet with healthy alternatives. Try simple swaps like quinoa for brown rice, fish for chicken breast and kale for spinach. Advance meal planning can help keep you from making unhealthy choices on the fly. The most common injuries during this period are “overuse injuries” such as muscle strains and tendonitis. These can result from not resting and recovering after visits to the gym or from going to the gym too often. Rest is one of the best preventative techniques to avoid offseason injuries. Ask yourself if you’ve had enough recovery time between the end of your season and the beginning of your offseason workouts. This is the perfect time to allow any pains or issues you dealt with during the season to heal, so take advantage of it. As a rule of thumb, you should rest for about two weeks. Consider a brace or compression sock as well to aid in support and recovery. If your offseason is the start of a long period without weightlifting, start low and work your way up when you return to your normal routine. The combination of forgotten lifting techniques and recent body changes in the offseason may put too much strain on your body and lead to an injury. Go slow and work your way up to where you once were. Finally, and most importantly, watch your form! You should always be cautious and use proper lifting techniques. While in offseason, athletes have a tendency to forget or become less concerned with their lifting and running form. A careless technique will almost always result in injury. Be smart, be aware and be active. Take these tips and head into your offseason with safety and confidence!